Welcome to the fifth issue of the Presto Newsletter, a monthly round up of news and events relevant to the Presto community. 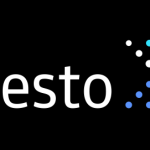 Deploying Presto on the Alluxio open source distributed storage system for fast analytics in the cloud. Building a scalable SQL platform for integrating and analyzing time series data in YugaByte DB. Uber Engineering Manager, Zhenxiao Luo explains how Uber tackles data caching, machine learning, and AI use cases. Start a Presto cluster within 90 seconds, and run SQL queries that integrate data from Cloud Dataproc and any other Presto-supported data source. New contribution to Presto by Sameer2086 improves query performance against S3 objects.